The coastal area of Água Grande district covers an area of 16.5 km2 that ranges from São Tomé airport to the community of Praia Melão. Due to climate change and/or other factors, at several locations coastal erosion occurs. 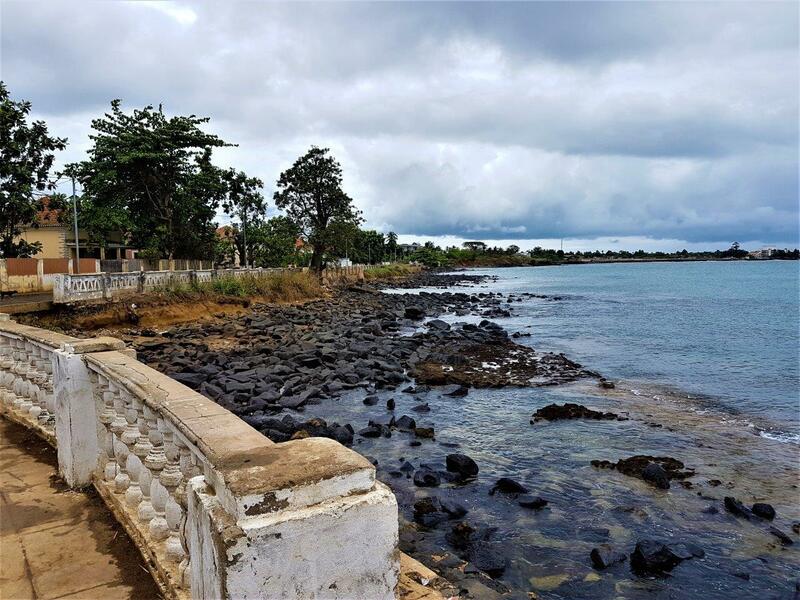 The Government of São Tomé and Príncipe foresees the need to invest in coastal protection infrastructure. In a Vulnerability Analysis the “hot spots” will be identified where risk (based on several aspects) is highest and thus require adaptations. Considering, among others, the budget for implementation of these adaptations, 1 or 2 design alternatives will be formulated that will be worked out in the Feasibility Study. The economic feasibility, funding and procurement are an integrated part of the approach, as the solution must be feasible and realistic to be implemented successfully. This also applies for the ESIA aspects.